Peckasso has been at it again! 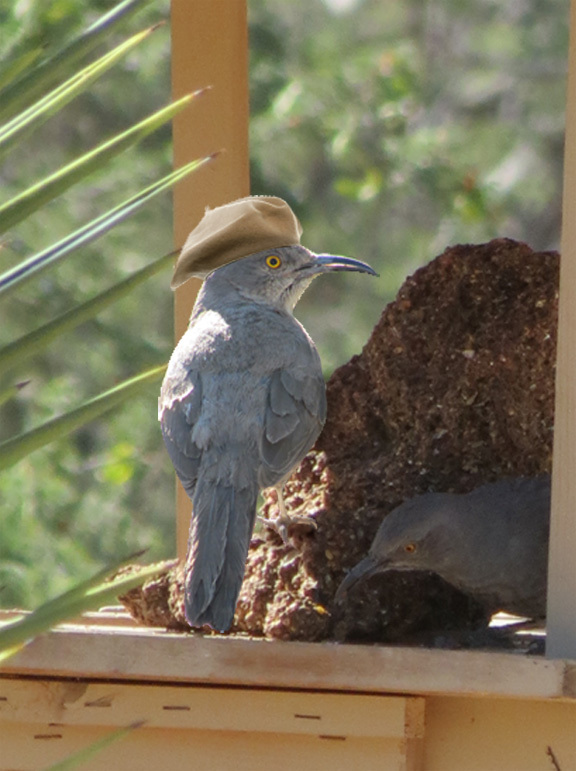 Last week, while sitting on the porch, we observed a new sculpture on the bird seed podium. What we saw was both amazing and a bit puzzling. We walked out to investigate. 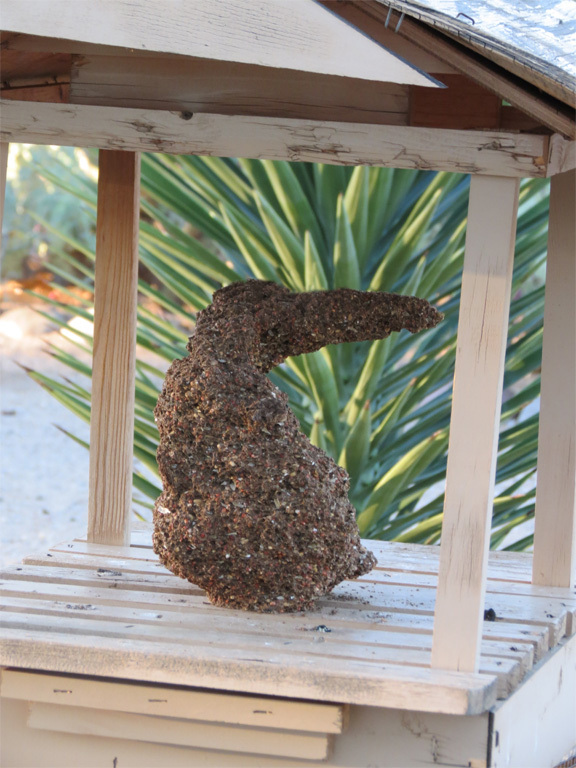 It was obvious at first, that it was a non-indigenous species to Todd’s Backyard- a toucan… which would be odd since all of the previous sculptural work has been inspired by the immediate desert environment! Was Peckasso going in a different artistic direction? (If you haven’t read any of the Peckasso Blogs, check it out to see the previous works created by the artistic bird collaborative we call ‘Peckasso’). But, as we stood and admired this new creation, we noticed that the trees were abuzz around the yard…it’s that time of year…hummingbird migration! Of course!!! This was NOT a toucan, but an ambitious attempt at a hummingbird!